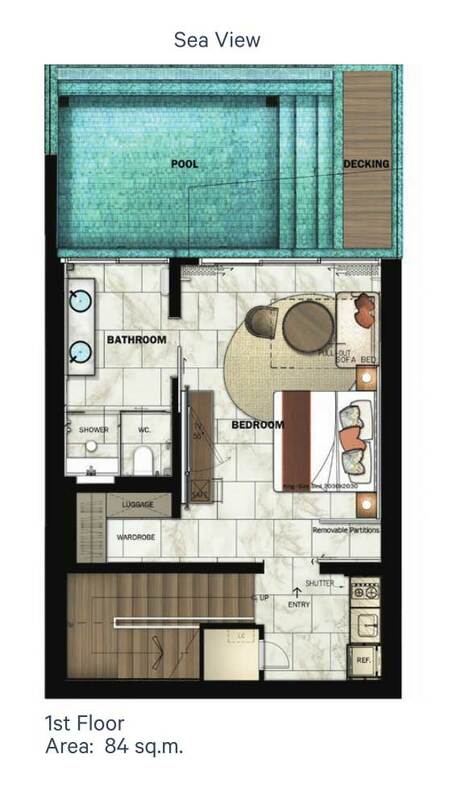 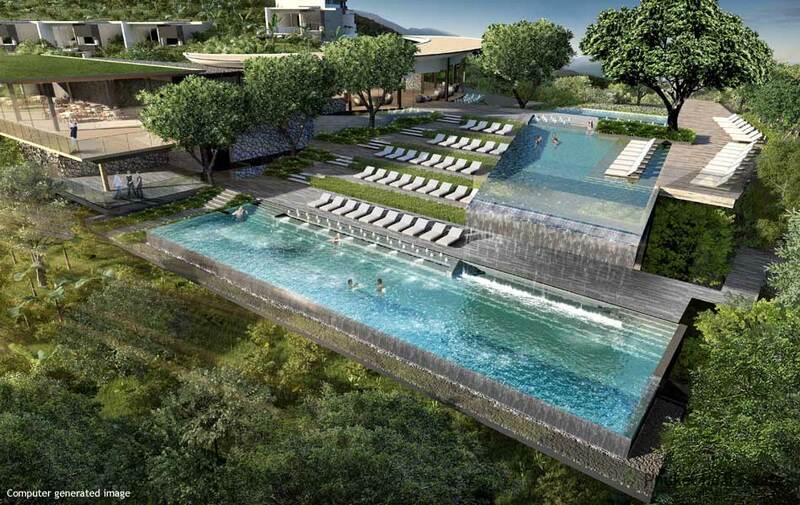 The One-Bedroom Pool Suite is located on the lower level of the 2-storey building and spreads over 84 sqm of space. 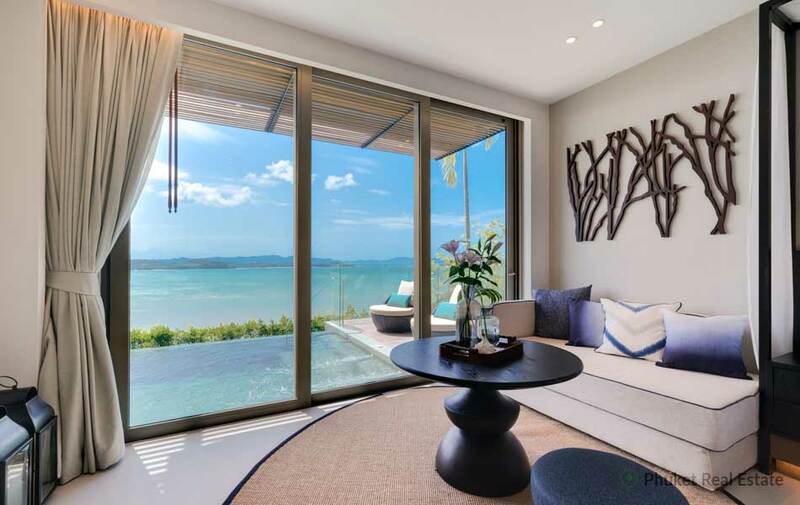 The luxury apartment is designed to feature all one needs for the perfect holiday, filled with relaxing and unwinding in a private pool and terrace, to then resting in a spacious master bedroom and bathroom, enjoying stunning ocean or mountain views. 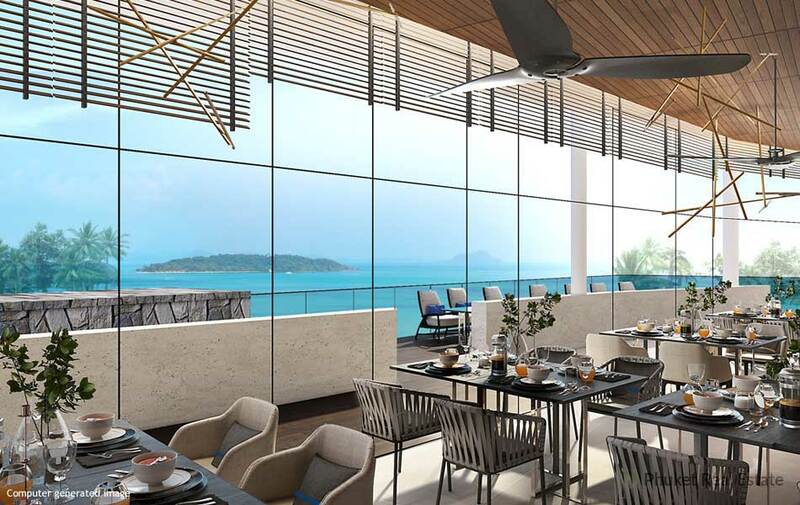 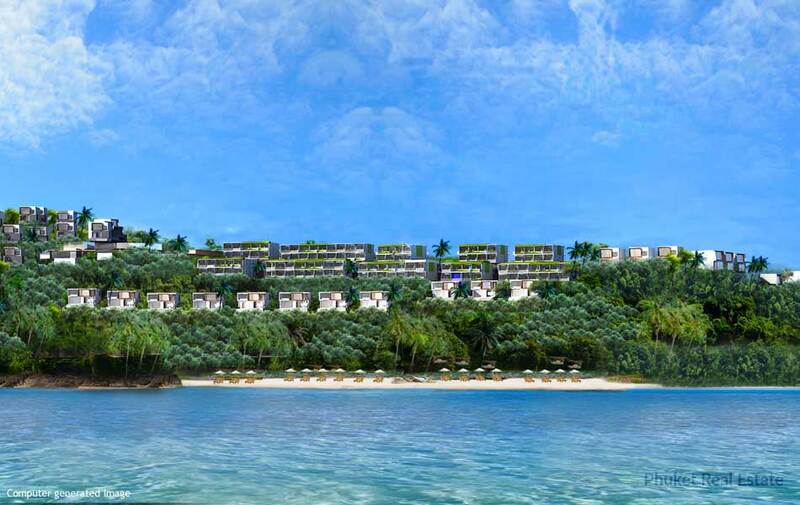 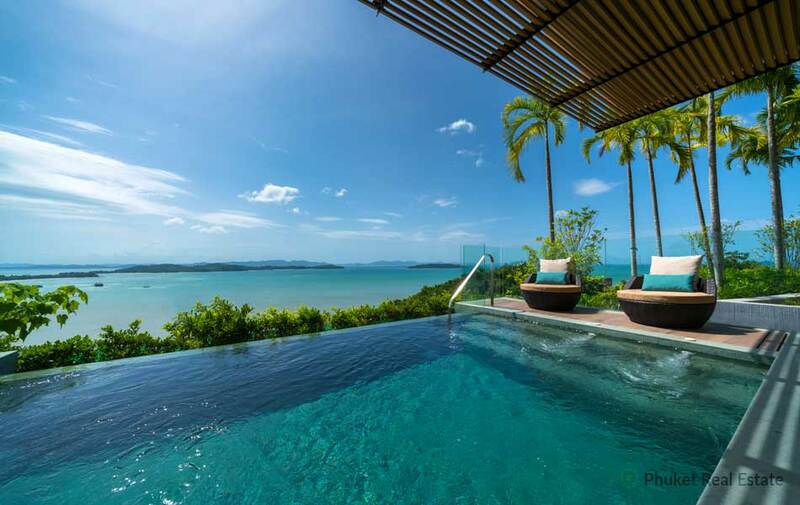 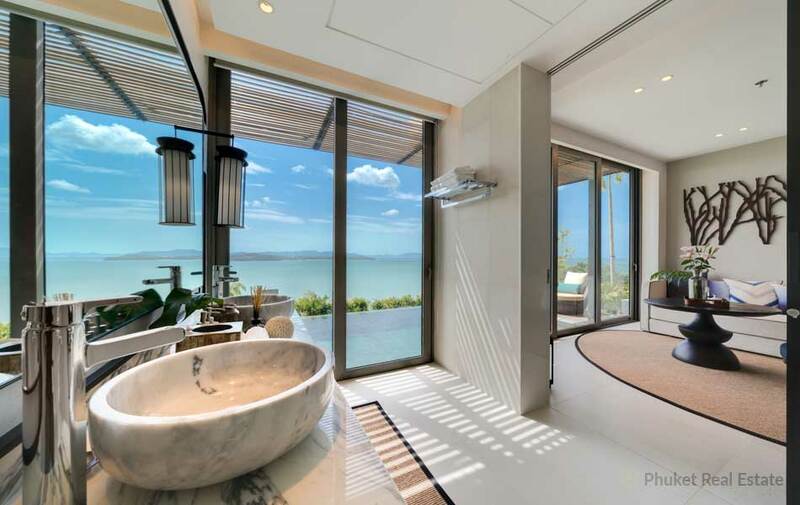 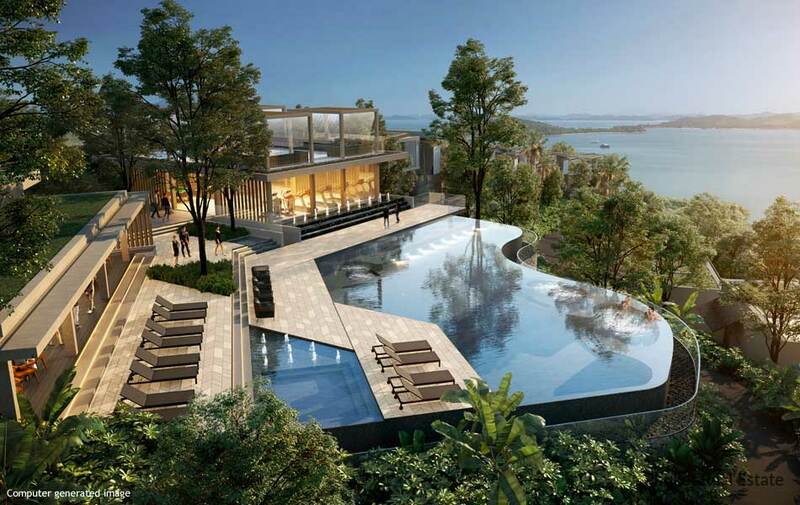 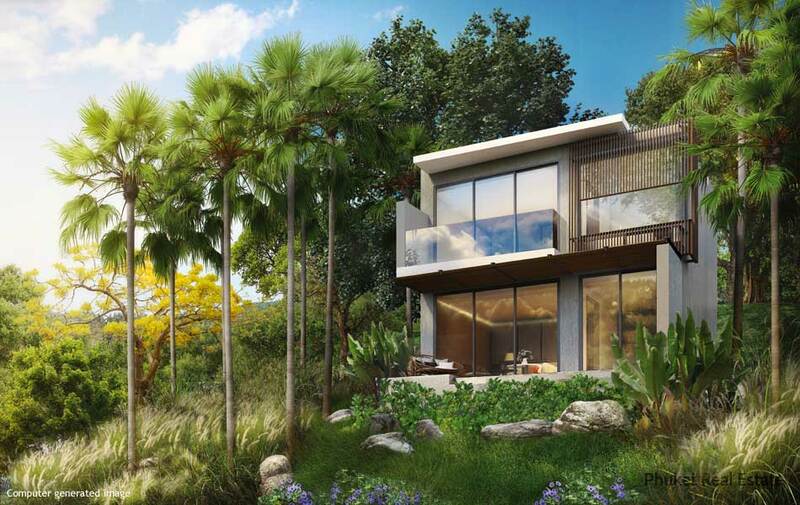 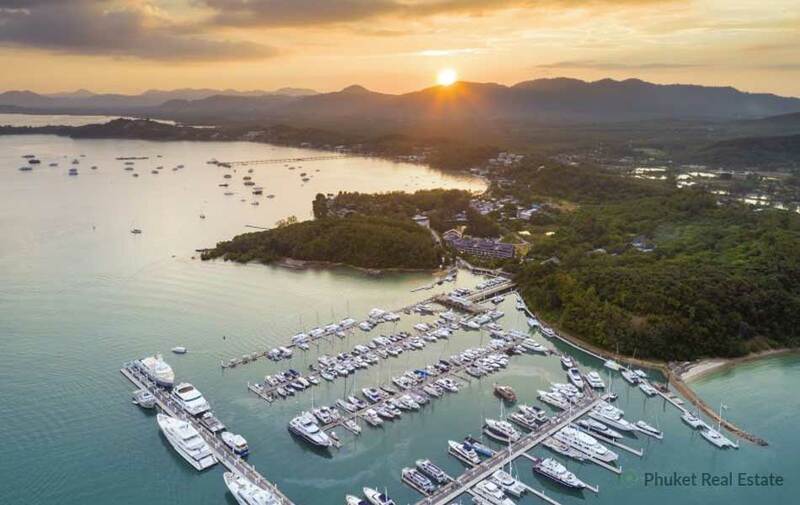 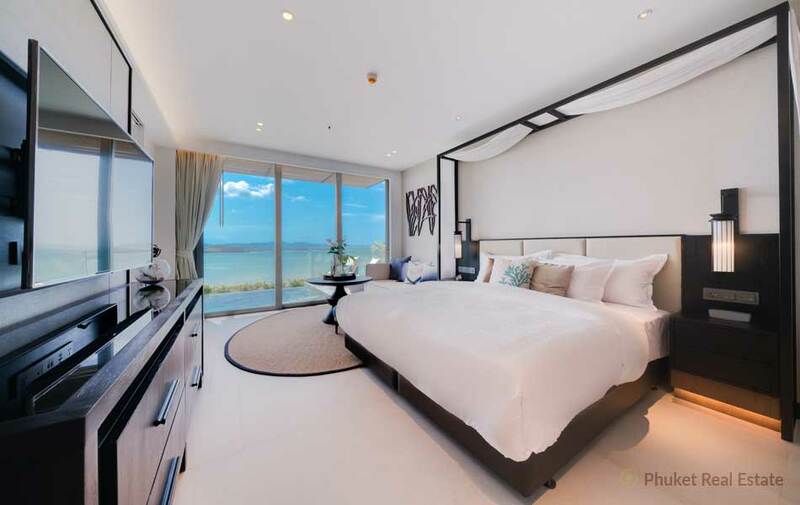 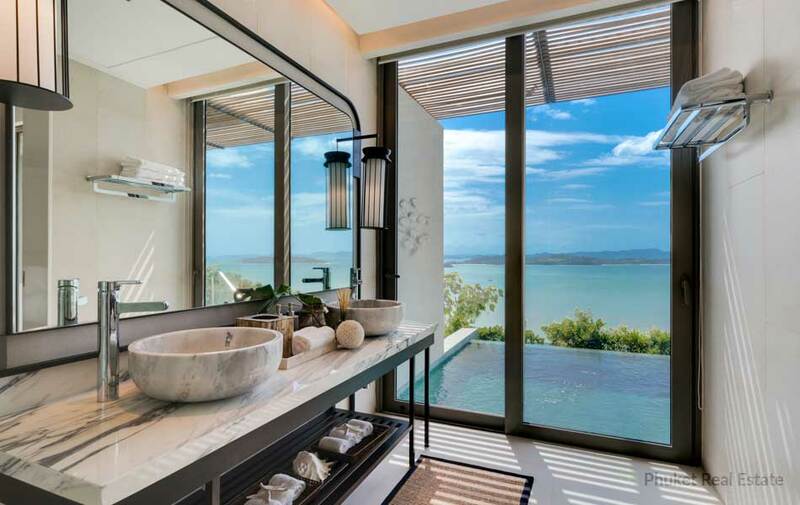 The One-Bedroom Pool Suite is part of The Residences, a newly Project in the East coast of Phuket island, only 10 minutes from Ao Po Grand Marina.